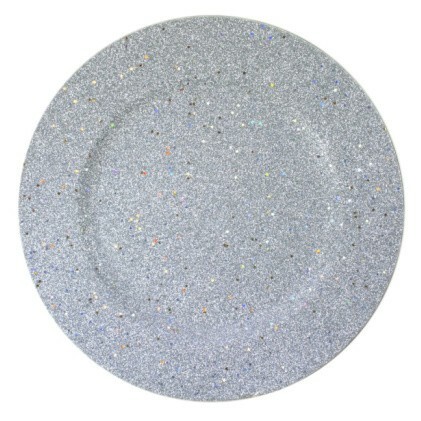 ChargeIt by Jay Silver Glitter and Stars Charger Plate 13"
Home > Products > ChargeIt by Jay Silver Glitter and Stars Charger Plate 13"
Impress your guests with an eye-catching food presentation using the ChargeIt by Jay Silver Glitter and Stars Round Charger Plate 13". Boasting a glamorous silver hue with dazzling sparkle, this charger plate beautifully frames dinner plates, platters, and bowls. Combining style and unparalleled durability, this charger is made from premium quality melamine for exceptional strength and longevity.